Our Store Finder feature powered by Yext allows customers find and get directions to a nearby store. Users simply send their zip code or send their live location and the bot will display nearby stores. How can I enable the Store Finder? *In order to use Store Finder feature your business has to be using Yext. For more info on Yext tool, please visit their official website. 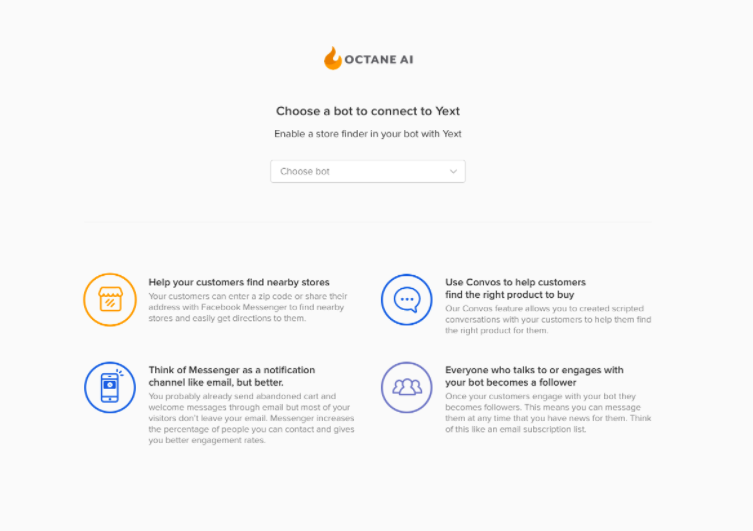 After you are all set on Yext, go to their Apps page find Octane AI and install the application. *Please note that it might take up to 4 minutes for Integration to start working. 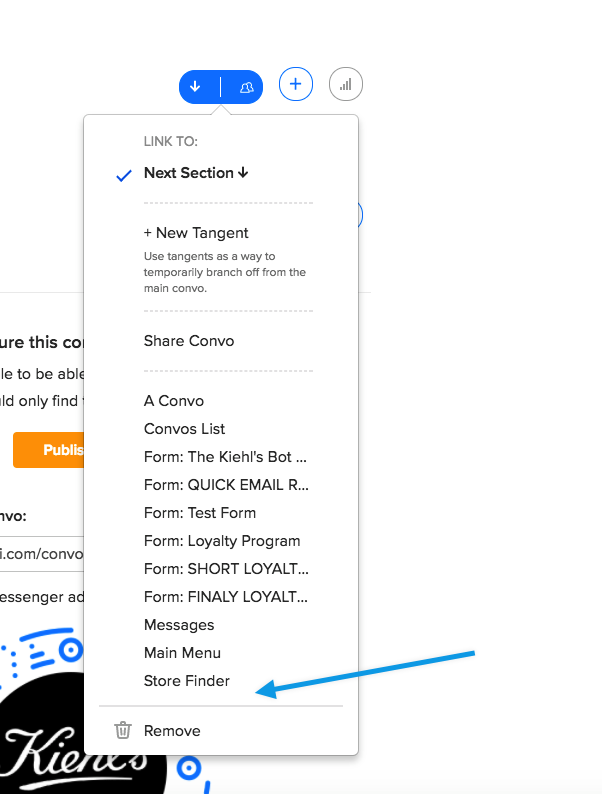 How to Add my store locations on Yext? In this article, you can find step by step guide how to add your store locations in Yext. How to filter specific stores? You can do this by enabling Store filtering tool. Learn more. 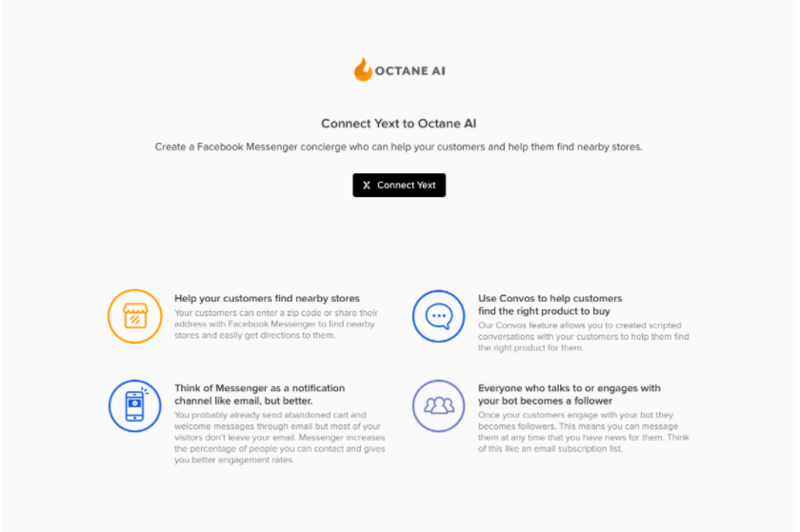 How to add the Store Finder to my bot? Pro tip: If you have a multi-location business or work in different verticals, using Folders can help you organize your stores more efficiently. Learn more on how to use Yext Folders.